One source, endless solutions. 3LM Roof Cleaning & Exterior Pressure Washing makes it easier for you to get great service from one reliable company. We use soft washing to remove mold, mildew, and any other buildup from your roofing. The result: Shingles that last, look clean, and won’t fail on you when you really need them. We use pressure washing to remove oil stains, vehicle leaks, chewing gum, rust stains, and other issues. This process improves curb appeal, but also makes your property safer and less prone to slip-and-fall accidents. 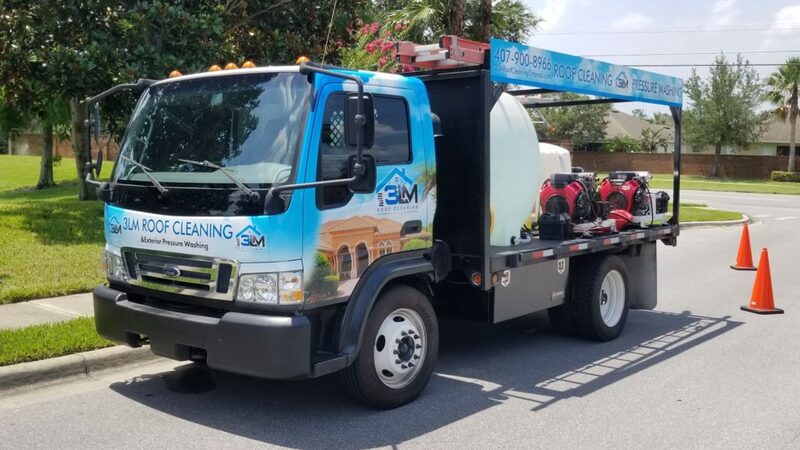 From drive-thrus to parking lots, from storefronts to sidewalks, our team provides power washing that elevates it all to your professional level. Pool safety and great aesthetics join forces. We use detailed pressure washing to remove slippery buildup, eliminate stains, and preserve the appeal of your property’s best asset. Soft washing is the best way to restore the shine to your property’s surfaces, and we implement it on fences, decks, porches, and more. All it takes to get started is a free estimate. Get the 3LM team on the job for service that really matters!